Production of Inside Xbox is coming to an end in North America and Australia. Xbox community guy Larry Hryb, better known to the world at large as Major Nelson, revealed today that the long-running Xbox Live program Inside Xbox is being brought to an end. "We are focused on making entertainment and gaming more amazing, and we must continue to invest our resources and talents wisely," he explained in the announcement. "Consequently, we've decided to discontinue production of Inside Xbox in the United States, and as a result this content will also no longer be available in Canada, Australia and New Zealand." Somewhat oddly, Inside Xbox will continue first-party production in other regions, including EMEA [Europe, the Middle East and Africa], Mexico and Japan, although changes to EMEA programming could be coming as Microsoft re-examines its operating model in the region. The screen won't go completely blank, however, as the Major said Microsoft will "leverage third-party news and video content available through a variety of existing and future partners" and will also occasionally produce "first-party offerings" as well. But current shows, including Major's Minute, Featured Videos and Insider Moves, are done. "This decision was not made lightly. 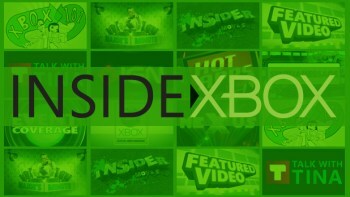 Our teams working on Inside Xbox have done a great job connecting with our members and delivering high-quality, informative game news and tips," he wrote. "We thank them all for their contributions to the Xbox Live community and wish them all the best in their future endeavors."